The Snack in the Box is a better and reusable-way to pack healthy snacks, protect them from getting crushed and mushed in your bag. 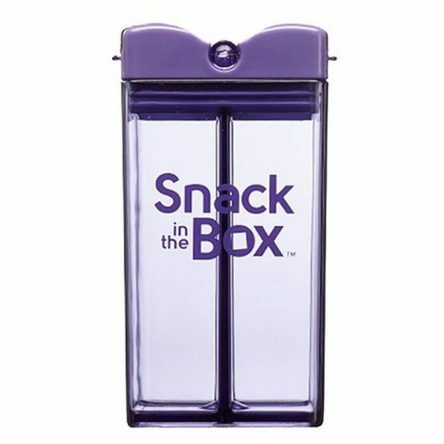 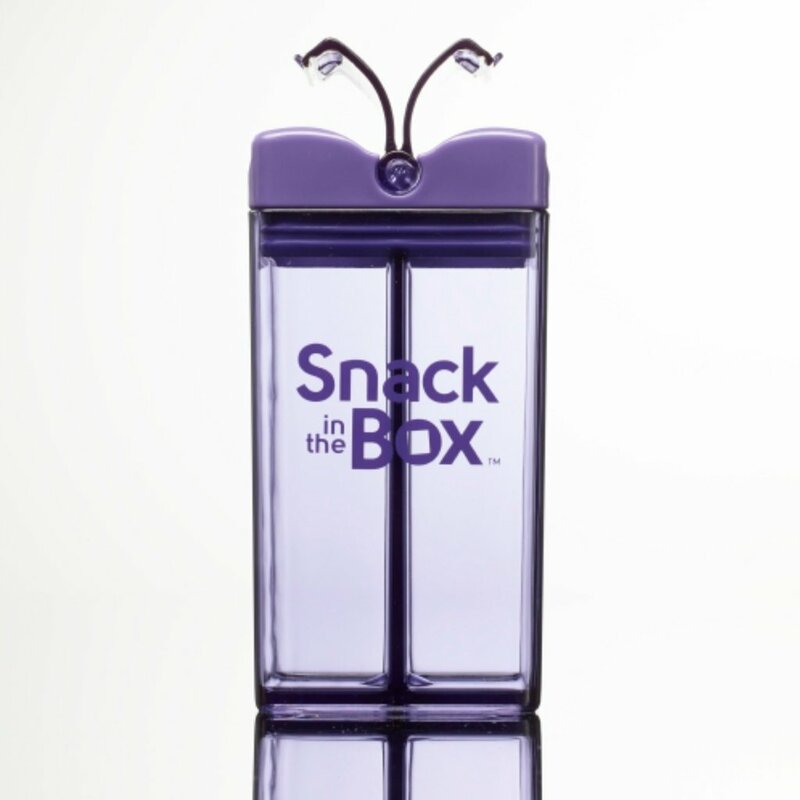 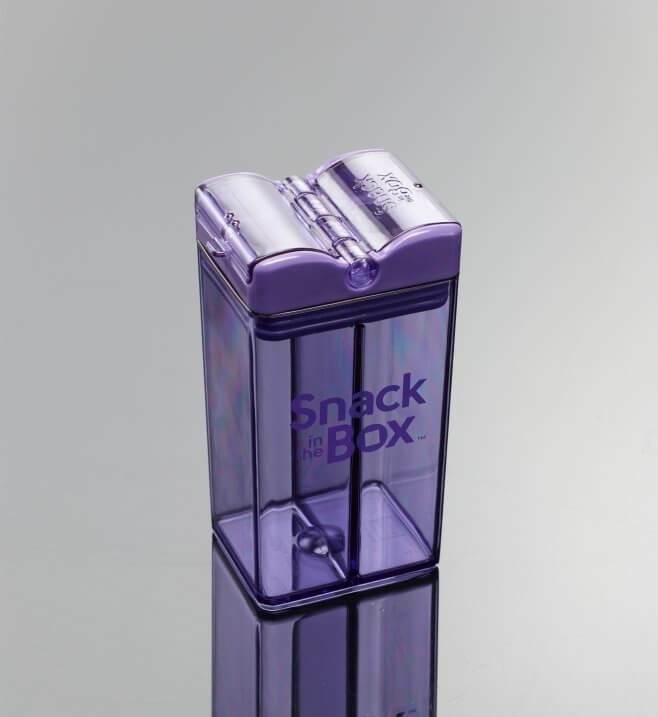 The twin pop-up lids let you easily flip the doors open and pour out your favorite snacks. 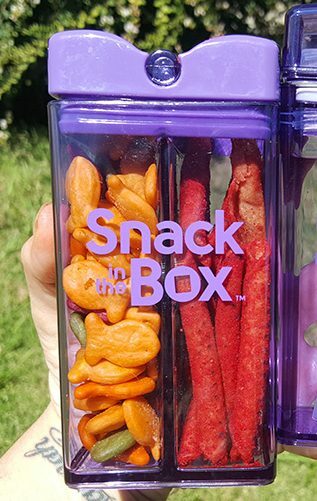 Now you can bring a healthy and a fun snack along and shake them out into your hand, when you need a little nibble. 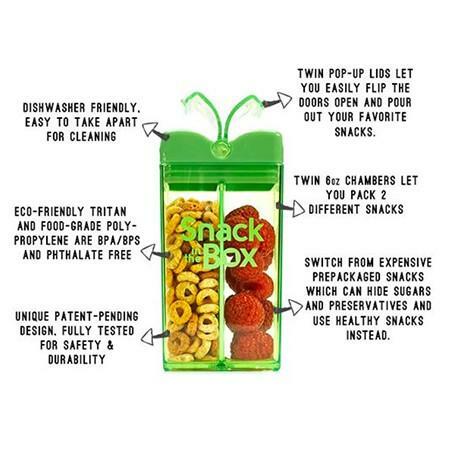 Twin chambers let you pack two different snacks. 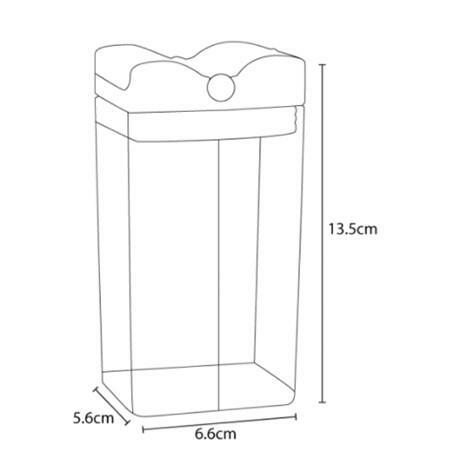 Each chamber seals with a separate lid.